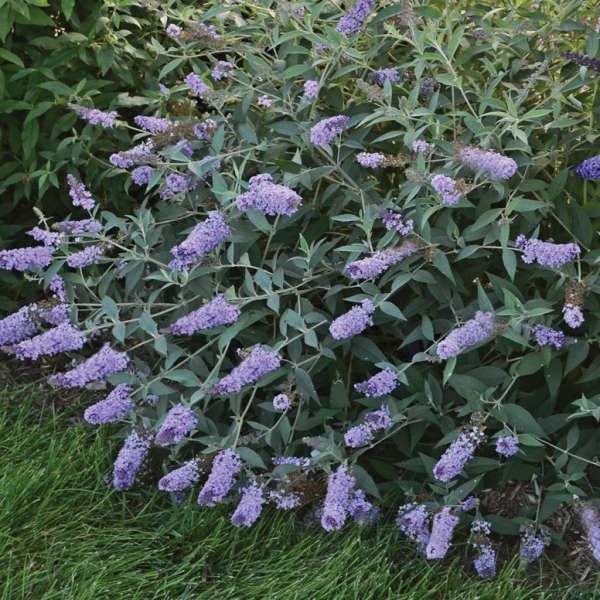 Buddleia 'Glass Slippers' PP27832 | Walters Gardens, Inc.
Like a cool drink of water on a hot summer day, the silvery green foliage and icy toned flowers of this new Buddleia from the Walters Gardens, Inc. breeding program offers an oasis in sunny landscapes. 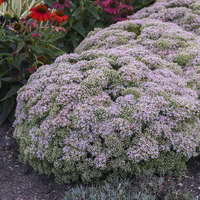 ‘Glass Slippers’ forms a relatively low, wide spreading, tightly knit cushion topped with pale periwinkle blue blossoms held on silvery, branched stems from late summer into early fall. 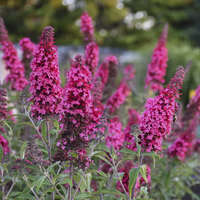 Secondary flowers extend the show further into fall. Suitable for Cinderella’s garden and all other gardening princesses! Feed with a constant liquid fertilization program using rates of 75-100 ppm nitrogen with every irrigation. 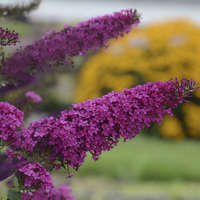 The other option is to incorporate controlled-release fertilizers into the growing medium prior to planting at a rate equivalent to 1-1/4 lbs. of nitrogen per yard of growing mix. Stem canker, root rot, scab. 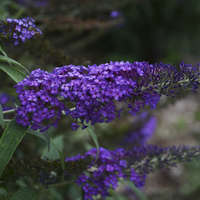 Plants will grow quickly under warm temperatures and more slowly under cool temperatures. 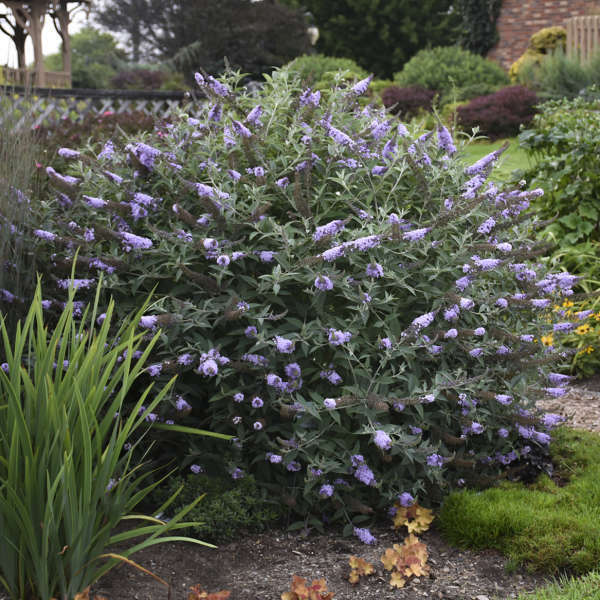 If grown under cool conditions, plants will remain dormant for an extended period of time. 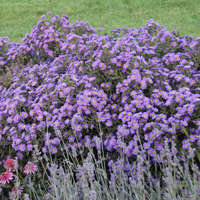 For potting soil use Commercial planting media. Water sparingly until plants begin to break dormancy. 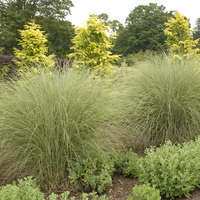 Once plants begin growing, water thoroughly and allow to dry slightly between waterings. Apply Sumagic at 5 ppm. 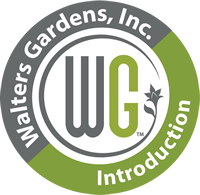 It is best to begin PGR applications about two weeks following the pinch and reapply them at 7 to 10 day intervals if additional control is necessary. 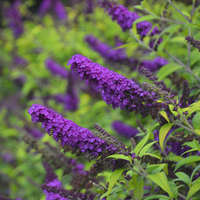 Buddleias are obligate long-day plants and will not flower unless grown under long-day conditions. 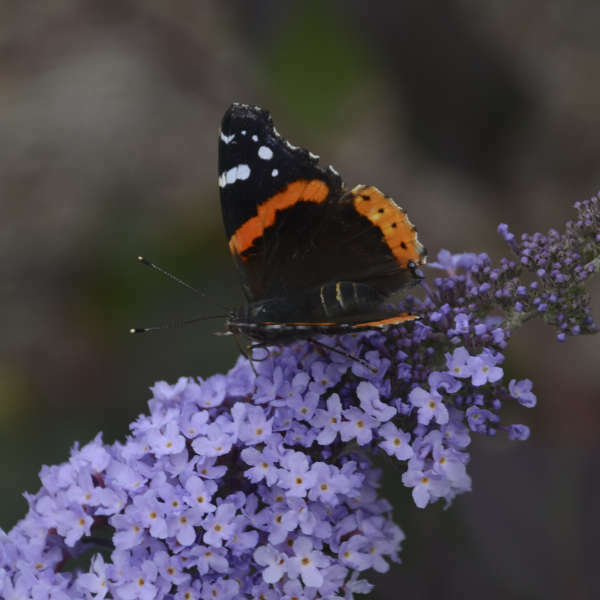 In the landscape: Studies have shown that when butterfly bushes are pruned in the fall before going dormant and when weather conditions are still favorable for growth, the chances of injury and possible death increase. 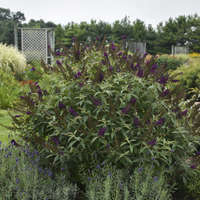 Therefore, plants should be pruned back hard in the spring rather than in the fall. Space the crop well and provide good airflow through the crop. Water early in the day to allow the foliage to dry by the end of the day.